Finally in this chapter, John records, “Then the press was trampled outside the city, and blood flowed out of the press up to the horses’ bridles for about 180 miles” (v. 20). Commentators generally agree that the city in question is Jerusalem. It is called “the great city” in Rev. 11:8, as well as “Sodom and Egypt, where also their Lord was crucified.” The reason the wicked are destroyed outside the city is that this is where accursed and unclean things are taken for disposal. For example, the Valley of Hinnom outside Jerusalem is where human sacrifices take place in Old Testament times. It is a burning trash dump in Jesus’ day. Even the carcasses of sacrificial animals, whose blood the high priest carries into the Holy of Holies on the Day of Atonement, are carried outside the city walls and burned. But the writer of Hebrews reminds us that Jesus is crucified outside the city in order to identify with sinful people. The One who knew no sin becomes sin for us, and the blessed Son of God becomes a curse: “For the bodies of those animals whose blood is brought into the most holy place by the high priest as a sin offering are burned outside the camp. Therefore Jesus also suffered outside the gate, so that He might sanctify the people by His own blood. Let us then go to Him outside the camp, bearing His disgrace” (Heb. 13:11-13). Other interpreters see this simply as an allusion to Old Testament purification laws where the unclean are taken outside the camp (Lev. 8:17; 9:11). Still others understand this as a reference to the end-time gathering of the wicked around the city of Jerusalem (Ps. 2:2, 6; Dan. 11:45; Joel 3:12-14; Zech. 14:1-4; and the apocalyptic book of 1 Enoch 53:1). If this is a reference to the Day of the Lord, it likely speaks of the Valley of Jehoshaphat, which according to Jewish tradition is the part of the Kidron Valley between the Temple Mount and the Mount of Olives. This is where Joel prophesies that the judgment of nations will take place (Joel 3:12-14). Zechariah places the final battle on the outskirts of Jerusalem (Zech. 14:1-4). Rev. 8:7 – The first [angel] blew his trumpet, and hail and fire, mixed with blood, were hurled to the earth. So a third of the earth was burned up, a third of the trees were burned up, and all the green grass was burned up (HCSB). The four angels standing at the four corners of the earth are prevented from harming “the earth or the sea or the trees” until the 144,000 are sealed (Rev. 7:2-3). But now, with the sounding of the first and second trumpets, a third of the earth and trees are burned up, and a third of the sea becomes blood. The hiatus is over and massive destruction of the sin-cursed world begins to take place. Are we to believe that hail, fire and blood are literally mixed and hurled to the earth? What’s the significance of “a third,” a recurring fraction in the first four trumpet judgments? How can “all” the green grass be burned in the first trumpet judgment if the “locusts” that ascend out of the abyss are prevented from harming the grass in the fifth judgment? And do the trumpet judgments follow the seal judgments chronologically or run concurrently with them? Let’s take a closer look. The trumpet employed by each angel in this series of judgments is the shofar, or ram’s horn, and is translated so in the Complete Jewish Bible. This horn has special significance for Israel. Loud blasts of the shofar accompany the giving of the law on Mt. Sinai and cause the people to tremble (Ex. 20:18). 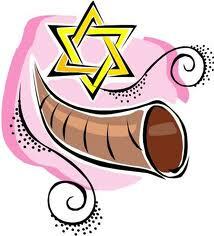 The shofar is incorporated into the Jewish feasts of Rosh Hashanah, the Jewish New Year, and Yom Kippur, or Atonement. Some Bible commentators believe the coming rapture of the church will be associated with Rosh Hashanah and the trumpets described in 1 Cor. 15:52 and 1 Thess. 4:16. They also believe the trumpets of Yom Kippur will herald national judgment on Israel, leading many Jews to receive Jesus as Messiah during the Tribulation. David H. Stern writes, “The idea that the Great Judgment of the Last Days is heralded by blasts on the shofar has its roots in the Tanakh [Old Testament]. ‘YHVH [Yahweh; God] will be seen over them, his arrow will go forth like lightning, and Adonai YHVH will sound the shofar and will move in the storm winds of the south…. And YHVH their God will save them on that day as the flock of his people (Zech. 9:14, 16)” (Jewish New Testament Commentary, p. 814). Additionally, the shofar is to be sounded on the Day of Atonement in the Year of Jubilee, every 50th year, to signal the release of slaves and debt. For Christians, this may be seen as symbolic of Christ’s work on our behalf, redeeming us from the slave market of sin and paying our sin debt with His blood. His finished work on the cross frees us from the debtor’s prison of sin. Whatever the significance of the shofar in the case of the trumpet judgments, its sounding precedes unprecedented acts of God upon the earth (the first four trumpet judgments) and its wicked people (the last three trumpet judgments). After the angel sounds the first trumpet, John sees hail and fire, mixed with blood, hurled to the earth. 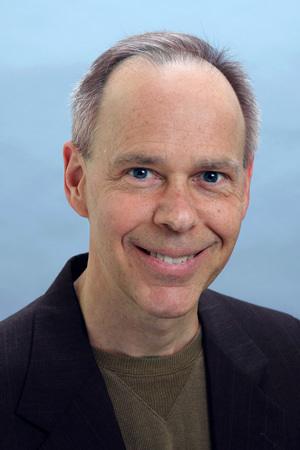 R. Jamieson, A.R. Fausset and D. Brown note there is a common feature in the first four trumpets; the judgments affect natural objects – the earth, trees, grass, the sea, rivers, fountains, the light of the sun, moon and stars. But the last three trumpet judgments affect men’s lives with pain, death and hell (A Commentary, Critical and Explanatory, on the Old and New Testaments, Re 8:7). Further, the language used to describe these judgments is drawn from the plagues of Egypt, with five or six out of the 10 plagues corresponding to trumpet judgments: hail, fire (Ex. 9:24), water turning to blood (Ex. 7:19), darkness (Ex. 10:21), locusts (Ex. 10:12), and perhaps death (Rev. 9:18). If we step back a little, we can see a pattern in all three sets of judgments – the seals, trumpets, and bowls. As the Dictionary of Biblical Prophecy and End Times notes, “In all three series of seven, the first four judgments focus on the earth, while the last three are more cosmic in nature. The seals and trumpets follow a 4+2+1 pattern, while the bowls follow a 4+3 pattern. There is an interlude between the sixth and seventh seals and the sixth and seventh trumpets, but no interlude between the sixth and seventh bowls as the pace becomes too intense” (p. 405). It’s also important to note that some commentators see these three sets of judgments playing out in chronological order – the seals first, followed by the trumpets and, finally, the bowls – while others see them as repeating and overlapping, especially since each series culminates at the end of time with a storm-earthquake. One’s view of the end times (historical, for example, or futurist) no doubt influences a belief in either consecutive or overlapping series of judgments, or perhaps it’s the other way around. In any case, it is difficult to overlook the similarities between the three sets of judgments. These judgments are poured out on unbelievers, while believers are protected (Rev. 3:10; 7:1-8; 9:4; 16:2). These judgments are God’s response to the prayers of the saints for justice and vengeance (5:8; 6:9-11; 8:3-5). The sovereignty of God is emphasized throughout. God does not command evil to do His will; He simply allows it to operate. Unbelievers respond by refusing to repent and by cursing God, thus demonstrating depravity (9:20-21; 16:9, 11). These judgments are acts of mercy, providing a final opportunity to repent (9:20; 14:6-7; 16:9, 11). There is a progressive dismantling of creation, preparing for the final consummation. As for the first trumpet, it no doubt ushers in a terrible storm, but commentators are divided as to what that storm symbolizes. Some argue this is a symbolic storm of heresies; others, a mixture of doctrinal errors such as the Arian heresy that denied the deity of Christ; or a tempest of war falling on the state. In any case, the hail and fire, mingled with blood, remind us of the seventh plague God sends against Egypt (Ex. 9:18-26). The prophet Joel also promises blood and fire in the last days (Joel 2:30). Although it’s difficult to picture hail and fire mixed with blood, imagine the apostle John, from his first-century perspective, trying to describe events that are perhaps centuries in the future. If the futurist perspective is correct, for example, how is John to describe 21st century (or later) warfare and weapons? Could the locusts be attack helicopters, and the burning mountain falling into the sea a nuclear warhead? We simply do not know. As we read these descriptions of hail and fire mixed with blood, strange-looking locusts, and blazing mountains falling from the sky, we are well advised to cling to the clear teachings of each passage and be willing to be proven wrong on our assumptions about apocalyptic details. For example, it is clear that God is bringing judgment to bear upon the earth; that much suffering ensues; that the wicked refuse to repent; that the Lamb is in control; that His people are protected; and that the earth is being prepared for what Jesus called “the regeneration” (Matt. 19:28 KJV) and what Peter referred to as “new heavens and a new earth” (2 Peter 3:13). Rev. 8:1 – When He opened the seventh seal, there was silence in heaven for about half an hour. 2Then I saw the seven angels who stand in the presence of God; seven trumpets were given to them. 3Another angel, with a gold incense burner, came and stood at the altar. He was given a large amount of incense to offer with the prayers of all the saints on the gold altar in front of the throne. 4The smoke of the incense, with the prayers of the saints, went up in the presence of God from the angel’s hand. 5The angel took the incense burner, filled it with fire from the altar, and hurled it to the earth; there were thunders, rumblings, lightnings, and an earthquake. 6And the seven angels who had the seven trumpets prepared to blow them (HCSB). Between the sixth and seventh seals we see a pause as 144,000 are sealed on earth and a vast number in heaven – from every nation, tribe, people and language – stand before the throne. Finally, as Christ opens the seventh seal, we learn there is silence for half an hour, followed by seven angels receiving trumpets that will herald judgments upon the wicked. Another angel approaches the altar, fills an incense burner with fire and hurls it to the earth, resulting in thunders, rumblings lightnings, and an earthquake. Why is there half an hour of silence in heaven? What’s the significance of incense with regard to the prayers of the saints? Who are the seven angels who stand in the presence of God? How would John’s first-century readers understand all of this? And what are we to make of it today? Let’s look more closely at these six verses. When Jesus opens the seventh seal, there is silence in heaven for “about half an hour” (v. 1). We have just heard the vast multitude, standing before the throne, shout praises to the Father and the Lamb (Rev. 7:10). And we’ve listened to the angels worship God with their uplifted voices as they fall on their faces before Him. When the Lamb opens the first seal, a thundering voice says, “Come.” When He opens the second, third and fourth seals, we hear the same voice. When Jesus opens the fifth seal, John hears the cry of the martyrs from under the altar. When He opens the sixth seal, there is a violent earthquake and tumultuous events in the heavens and on earth. Then, in Chapter 7, there is a high-decibel break in the action between the sixth and seventh seals as an angel cries in a loud voice to his fellow angels not to harm the earth until the 144,000 are sealed, and as angels around the throne worship God. But now, with the opening of the seventh seal, there is a deafening silence. Why? “Silence is appropriate in anticipation of the Lord’s coming judgment (Zeph. 1:7-10; Zech. 2:13)” (The ESV Study Bible, Rev. 8:1). We should not assume that a delay means God is any less serious about vindicating His holiness. In Luke 18:1-8, Jesus tells the parable of the persistent widow to illustrate the importance of ceaseless prayer. “Will not God grant justice to His elect who cry out to Him day and night? Will He delay [to help] them? I tell you that He will swiftly grant them justice” (Luke 18:7-8a). And in 2 Peter 3:4-13, we are told that God’s timing is not ours: “[W]ith the Lord one day is like 1,000 years, and 1,000 years like one day. The Lord does not delay His promise, as some understand delay, but is patient with you, not wanting any to perish, but all to come to repentance” (2 Peter 3:8-9). The Lord’s judgment never falls before He has extended ample grace and mercy, which people may mistake as indecision or apathy on God’s part. But why silence for half an hour? W.A. Criswell explains, “It is, first, the silence of awe and of intense expectancy. This is the last drama of the ultimate mystery of Almighty God… It is [secondly] a silence of ominous foreboding. Even the Lord God Almighty pauses before the onward rush of this great, final judicial administration…. Is that a brief while? No, indeed. It is seemingly interminable, unbearable…. The silence, the stillness in heaven is a pause one could never forget. Remember that time is altogether circumstantial and relative” (Expository Sermons on Revelation, pp. 161-62). Matthew Henry argues that the prolonged silence may be seen from two perspectives: first, the perspective of peace, since there are no longer any cries being lifted up from the saints to God; and second, the perspective of expectation as the redeemed join the heavenly creatures in watching open-mouthed at what the Lord is about to do. Perhaps it is as Zechariah wrote, “Let all people be silent before the Lord, for He is coming from His holy dwelling” (Zech. 2:13). We can’t say with certainty whether the silence lasts 30 minutes, or simply a notable period of time. Heaven is a noisy place filled with songs, praise, and adoration – all joyfully rehearsed by human and angelic creatures in the presence of God. Silence of even a few minutes would seem deafening by comparison. No doubt the saints, angels, elders and heavenly creatures are holding their collective breaths as the Creator is about to bring human history to a close. During this silence, seven angels are given trumpets. John tells us these are “the seven angels who stand in the presence of God” (v. 2). But who are these angels? We see four angels standing at the four corners of the earth in Rev. 7:1. And there are “seven angels” – presumably not the seven angels – with the last plagues in Rev. 15:1, but there is no specific mention elsewhere in Revelation of “the seven angels.” Some commentators say these are “the seven spirits before His throne” whom we encounter in Rev. 1:4, but a number of translations render it “the seven-fold Spirit,” or Holy Spirit, in the book’s opening vision. These angels are distinguished from the multitude of other angelic creatures around the throne in that they “stand in the presence of God.” In scripture, the angel Gabriel identifies himself as one “who stands in the presence of God” (Luke 1:19). And in the apocryphal Tobit 12:15 we read, “I am Raphael, one of the seven holy angels which present the prayers of the saints, and which go in and out before the glory of the Holy One.” Perhaps there are others, unnamed in scripture, who serve in similar capacities. But it does not appear this is the seven-fold Holy Spirit, who is never depicted as blowing a trumpet. In any case, these seven angels take their trumpets in turn and prepare to blow them — a loud and clear warning of impending judgment. Just as seals prevent written messages from being revealed until the proper authority breaks them and thus unravels the scroll, trumpets play unique roles as well. John is a Jew and is well versed in the place of trumpets in Israel’s national life. According to Numbers 10, trumpets have three important uses. They call people together (Num. 10:1–8), announce war (Num. 10:9), and herald special times (Num. 10:10). “The trumpet sounded at Mount Sinai when the Law was given (Ex. 19:16–19), and trumpets were blown when the king was anointed and enthroned (1 Kings 1:34, 39). Of course, everyone familiar with the Old Testament would remember the trumpets at the conquest of Jericho (Josh. 6:13–16)… Sounding seven trumpets certainly would announce a declaration of war, as well as the fact that God’s anointed King was enthroned in glory and about to judge His enemies (Ps. 2:1–5). As trumpets declared defeat to Jericho, they will ultimately bring defeat to Babylon” (Warren Wiersbe, The Bible Exposition Commentary, Rev. 8:1). The fact that these are angels’ trumpets distinguishes them from the trumpet of God (1 Cor. 15:52; 1 Thess. 4:16), which proclaims the resurrection of believers, and from other New Testament trumpets (Heb. 12:19; Rev. 1:10, 4:1). The angels’ trumpets, sounded in turn, announce the Lord’s judgment upon the wicked of the earth. But before the seven angels sound the trumpets, a special angel performs a significant act at the golden altar in heaven. In the tabernacle and temple, the golden altar stands in front of the veil and is used to burn incense, a picture of prayer ascending to God (see Ps. 141:2). This is the work Zacharias is performing in the temple when the angel informs him that he and Elizabeth will have a son (Luke 1:5ff). The “prayers of the saints” (v. 4) are not the petitions of some special believers who have achieved superior status. All Christians are saints (2 Cor. 1:1; 9:1, 12; 13:13) and the Holy Spirit ensures their prayers ascend to their heavenly Father (Rom. 8:26). What’s more, scripture nowhere teaches that we are to direct our prayers to saints in heaven. Our prayers are to be directed to the Father through the Son with the aid of the Holy Spirit. It is possible that these are the prayers of the saints both in heaven (Rev. 6:9-11) and on earth for God to vindicate His holiness. These so-called “imprecatory prayers” are seen in the Psalms (see Pss. 7; 26; 35; 52; 55; and 58) and it appears God is about to answer them. There is nothing wrong with prayers for vengeance, as long as we are beseeching God for His vengeance, not ours, and for His holiness to be vindicated, not our self-righteousness. There may be a fine line between imprecatory prayers and spiteful ones, but there is line in any case and we should not seek to cross it. On the Day of Atonement, the high priest takes coals from the golden altar and, with the blood of sacrifices, enters the Holy of Holies to offer a sacrifice first for himself and then for the people. But in Revelation 8, the angel takes coals from the golden altar and hurls them to the earth. While the smoke of the incense ascends to God with the prayers of the saints, the burning coals flung to earth represent God’s answer to these prayers. The calm before the storm is ending. “The purpose of prayer, it has often been said, is not to get man’s will done in heaven, but to get God’s will done on earth – even if that will involves judgment. True prayer is serious business, so we had better not move the altar too far from the throne!” (Wiersbe, Rev. 8:1). How do proponents of the four major interpretations of Revelation view the seventh seal? 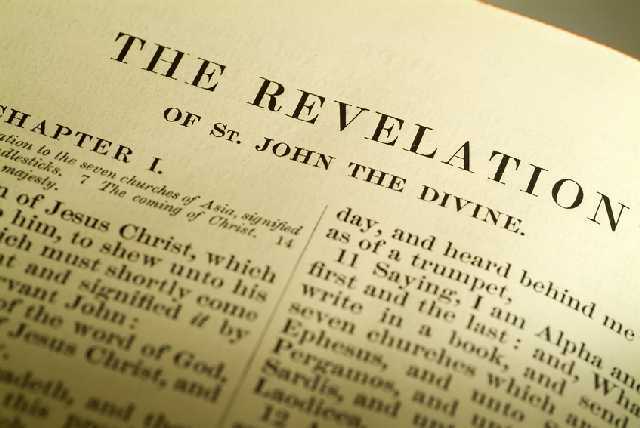 Preterists – who see the events of Revelation as fulfilled in the first centuries of the church age – say this judgment is directed at apostate Israel, which is the “earth” or “land” in verse 5. In Old Testament times, when God’s people are commanded to destroy an apostate city, Moses orders them to burn all its booty with fire as a whole burnt offering to the Lord (Deut. 13:16; Judges 20:40). The priest takes coals from God’s altar and uses it to kindle the fire, thus putting the city “under the ban” so that nothing survives. Now, in Revelation 8, the angel takes coals from the heavenly altar and hurls it to the earth, placing apostate Israel and its capital city of Jerusalem under the ban. Historicists – who view the events of Revelation as unfolding throughout the course of history – see the angel who offers the incense as Christ, acting in His priestly role in the heavenly sanctuary. The saints are those slain by Rome during the era of the martyrs. Their prayers have ascended before God and are about to be answered by His vengeance against the Roman Empire. Futurists – who argue that the events of Revelation are largely unfulfilled, especially chapters 4-22 – say the prayers are those of “all the saints” (v. 3), or at least the saints of the tribulation who are living on the earth and crying out to God for vengeance. Some futurists see the incense-offering angel as Jesus, our High Priest, while others see no reason to equate this angel with deity. The fact that fire is cast to the earth from the same censer as was used in offering up the saints’ prayers implies that the judgments are in response to those prayers. Idealists, or spiritualists – who see Revelation setting forth timeless truths concerning the battle between good and evil – see the seven trumpet judgments running concurrently with the seven seal judgments, not chronologically after them. The calamities described here are typical judgments that recur throughout the church age and should not be regarded as symbolizing particular events. Some argue that the incense represents the intercession of Christ for His church, being mingled with the prayers of the saints. The Jewish celebration of Passover begins today [April 8] at sundown and is the first of seven major feasts. The feasts of Israel are religious celebrations remembering God’s great acts of salvation in the history of His people. The term “feasts” in Hebrew literally means “appointed times” and in Scripture the feasts often are called “holy convocations.” They are times God has appointed for holy purposes. While there are many religious celebrations in Jewish history and custom, seven are most significant: Passover, Unleavened Bread, First Fruits, Pentecost, Trumpets, Day of Atonement and Tabernacles. God established the timing and sequence of these feasts to reveal to us a special story — the work of the Messiah in the redemption of mankind and the establishment of His kingdom on earth. To learn more, click here or download a free study. Download this free Bible study in PDF format. The feasts of Israel are religious celebrations remembering God’s great acts of salvation in the history of His people. The term “feasts” in Hebrew literally means “appointed times” and in Scripture the feasts often are called “holy convocations.” They are times God has appointed for holy purposes – times in which the Lord meets with men and women. While there are many religious celebrations in Jewish history and custom, seven are most significant: Passover, Unleavened Bread, Firstfruits, Pentecost, Trumpets, Day of Atonement, and Tabernacles. God established the timing and sequence of these feasts to reveal to us a special story – most significantly, the work of the Messiah in the redemption of mankind and the establishment of His Kingdom on earth. Why seven feasts? The number seven is significant in Scripture. It is tied to completeness or fullness. For example, God rested on the seventh day after creation, not because He was tired but because His work was complete and He was fully satisfied in it. The cycle of the seven-day week provided the basis for much of Israel’s worship. In addition, the seventh month features four of the seven feasts; the seventh year and the 50th year (the year of Jubilee, following seven cycles of seven years) also are significant. ► The Lord established the feasts and gave them to Israel. ► The feasts were based on the Jewish lunar calendar (12 months of 29 or 30 days per month). ► The feasts relate to Israel’s spring and fall agricultural seasons; Israel was and still is, to a great extent, an agricultural nation. ► They picture the timing, sequence and significance of the Messiah’s redemptive work. ► Though the feasts were given to Israel, every person is invited to meet with God and receive His gracious blessings through a personal relationship with Jesus Christ. ► There is a binding relationship between Israel and the church even though they are distinct entities with distinct promises. God’s unconditional covenant with Abraham promised, “In thy (Abraham’s) seed shall all nations be blessed” (Gen. 22:18). “Every blessing which the true Church now enjoys and every hope she anticipates come out of the Abrahamic, Davidic, and New Covenants which God made with Israel” (The Feasts of the Lord by Kevin Howard and Marvin Rosenthal, p. 14). ► The number of feasts – seven – relates to the Biblical number for completion. The full work and revelation of Messiah/Christ is pictured in the seven feasts. ► All seven feasts are found in Leviticus 23; additional passages in the Old and New Testaments also address the feasts. “To summarize, these seven feasts of the Lord are God’s appointed times during which He will meet with men for holy purposes. When completed, these seven special holidays will triumphantly bring an end to this age and usher in a glorious ‘Golden Age'” (www.christcenteredmall.com). Why study the feasts? There are several good reasons to study the feasts: 1) to remember God’s goodness; 2) to understand more fully His divine revelation through “types;” 3) to increase our knowledge of God’s plan through the work of His eternal Son; 4) to more fully appreciate the work of Jesus Christ on our behalf; and 5) to joyfully anticipate the days in which Jesus will return and establish His Kingdom on earth. Why do so many Jewish people observe the feasts but fail to see Jesus in them? The destruction of the Temple in Jerusalem in 70 A.D. led to significant changes in the location, emphasis and practice of the feasts. It must be remembered that the destruction of the Temple itself, and the scattering of the Jewish people, was God’s judgment upon the nation for its rejection of Jesus as Messiah. The hardening of the Jewish heart, however, has provided opportunity for Gentile believers to be grafted into the true church, made up of those “from every nation, tribe, people, and language” who worship Jesus as Lord (Rev. 7:9; see also Rom. 11:11-12). All Christians should love the Jewish people. God does, and He is not finished with them yet. The fall feasts in particular point to the coming days when a remnant of believing Jews will “look on Me whom they have pierced” (Zech. 12:10), mourn over their unbelief, and turn to Jesus as King of Kings and Lord of Lords.